First, kids don’t have to go to these schools, they (or their parents) choose to. Second, public school students are already largely segregated by neighborhood. Poor kids don’t go to school in rich neighborhoods, white kids in black neighborhoods, etc. So I’m not sure what you think these schools are spoiling. The “coming together” model is essentially a one-size-fits-all model: lump all students together in industrial-size campuses and make them all learn the same things. I don’t understand why that idea should have such a strong appeal. As a student in an industrial-size, prison-like high school, I would have jumped at the chance to attend school in a smaller, more intimate setting. Regarding the type of discipline they impose, it’s easy for someone raised by well-educated, middle- or upper-class parents to talk about how inappropriate or masochistic (or racist?) it is to impose such strict disciplinary practices on lower-income students, but speaking for myself, I definitely wasn’t learning self-discipline at home, and I sure as hell could have used it. Where else was I supposed to get it? Do we imagine it just falls from the sky? By the way, thinking back on my high school experience, it occurs to me that the strict disciplinary methods used in these new schools serves another purpose: It protects the kids from being harassed and distracted by each other. Again someone raised in a middle-class neighborhood might not know what it’s like in a school where gangs are active and to be subjected to their harassment and intimidation, and where drugs are a temptation. It would be great to be able to eliminate these problems by providing all poor families with a middle-class income, but failing that, maybe strict regimentation is the most effective way of providing an environment relatively free of harassment and distraction, which kids from nicer neighborhoods take for granted. In other words, people who don’t come from low-income backgrounds may think that strict discipline and regimentation are unnecessary and discriminatory, because they come from a place where these things aren’t necessary in order to provide an environment conducive to distraction-free learning, where most students and their parents take their education seriously, and where gangs and crime in school are not an issue. Apparently to a lot of poor families, the regimentation is worth putting up with if it eliminates some of the distractions their kids have to deal with and enables them to focus on their studies. Good points. We could take them even one step further. 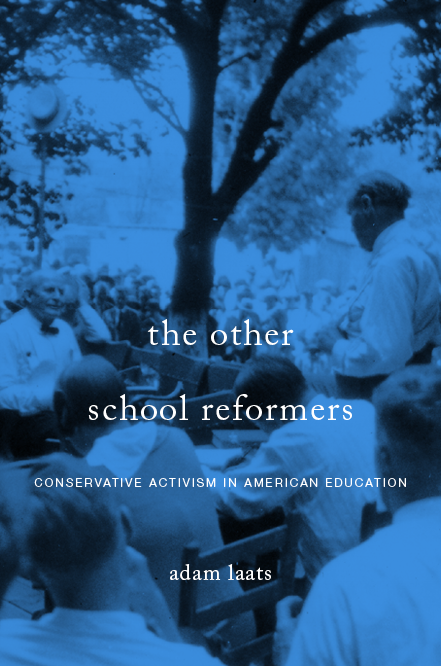 If I put on my ‘charter-advocate’ hat, I would say that today’s “no-excuses” schools are fundamentally different from Lancasterian schools in the early 1800s for one enormous reason. Whereas Lancaster only promised basic academic skills, today’s charter leaders insist they want to prepare students for college and professional success. Two hundred years ago, low-income parents recoiled from the reputation of Lancaster’s schools, thinking the schools would not help their children advance up the economic ladder. Today, parents might love the neo-Lancasterian approach of these no-excuses charter schools because today’s schools include a promise of economic advancement. Public schools—REAL public schools—were supposed to be different. They were intended to be a meeting ground for all children. They were the embodiment of an American educational dream—a place where rich and poor could learn together, with equal chances for all. Perhaps that’s the ideal. But it has always seemed unrealistic. My own view is more pragmatic, based on what can be achieved. I see the role of public schools as providing a basic education to all. It is to our economic benefit, if the public at large has some sort of basic education. Anything beyond that is going to depend on engagement of the family and child. Being a student is hard work. And that requires motivation. The government is not a very good motivator. Some teachers can be excellent motivators, but there aren’t nearly enough of that kind of teacher. So we have to make do with what motivation we can get. And the best of it will come from the family. From what I observe, it seems that all attempts to improve education will work well in the laboratory but fail once they go into production. And I think that’s the same issue. Being part of an experimental program is motivational. Being part of a production system isn’t.